Meetings are meetings: typically you spend a significant amount of time inside a hotel convention center with run-of-the-mill meals and not a lot of activity. Well, not anymore. 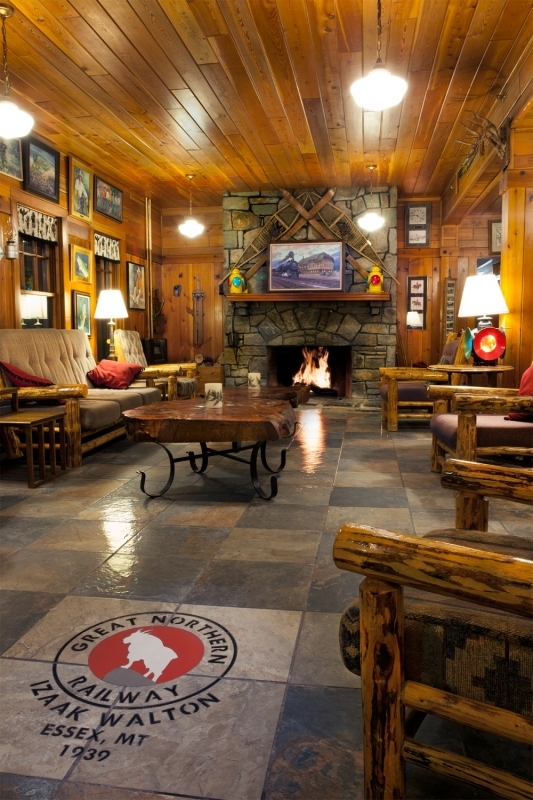 Meet Montana’s most undiscovered and off-the-grid meeting location: Glacier Park Lodge. 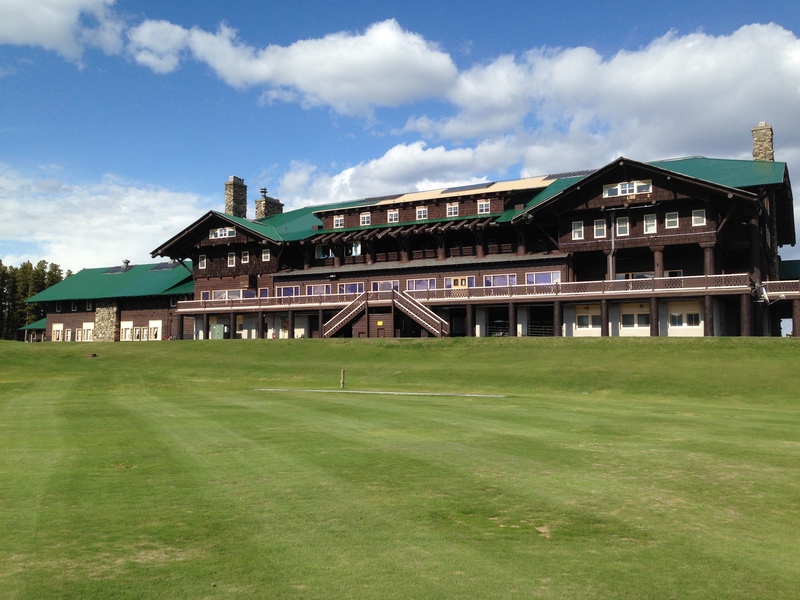 The grounds and exterior of Glacier Park Lodge. 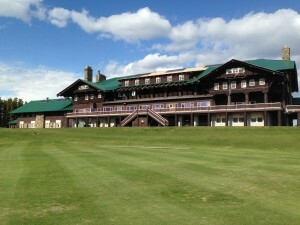 Built in 1912, Glacier Park Lodge is located in East Glacier Park, Montana, just outside Glacier National Park. The historic property features 160+ guest rooms, an expansive lobby, wood-burning fireplace, three spacious meeting rooms and an on-site restaurant and bar. Outside, you’ll find lush gardens, a 9-hole golf course, swimming pool and a covered deck perfect for watching the Montana sunset. If you’re looking for a quiet destination to help eliminate everyday distractions for meeting attendees, Glacier Park Lodge is a prime corporate retreat location. 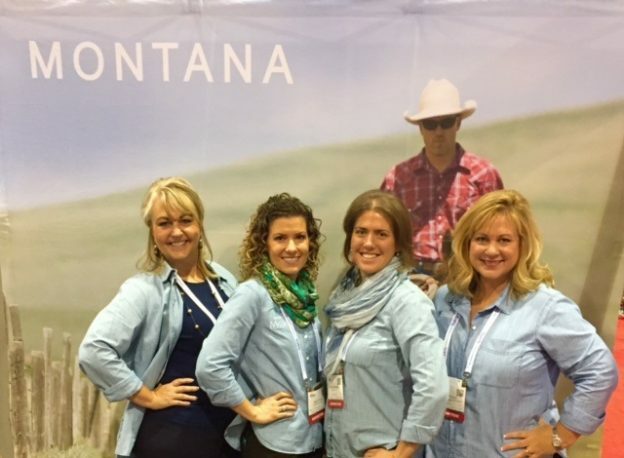 At your Montana meeting, you’ll be trading modern conveniences (there are no TVs in the rooms and limited cell phone service) for incredible team-building opportunities and brainstorming sessions. The lobby in Glacier Park Lodge. And while this location definitely takes you off-the-grid, Glacier Park Lodge still provides the space you need to meet in both boardroom and classroom settings. Each of our three meeting rooms (ranging from a small boardroom that can accommodate corporate groups of 25 people to a large space that has room for up to 150 people in a classroom setting) are home to interesting Montana history—including an indoor pool and casino. When you’re ready to take your groups outside, the lawn at Glacier Park Lodge is perfect for team-building exercises, friendly games of soccer or volleyball. It’s also a great location for a tented cocktail reception or dinner under the stars and the watchful eye of Dancing Lady Mountain. 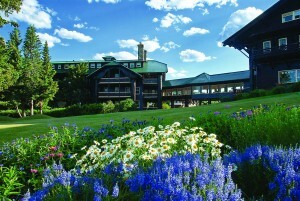 The back lawn at Glacier Park Lodge. 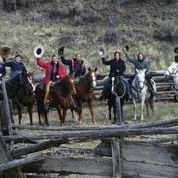 After your meetings, there are endless Montana activities for your group to enjoy. 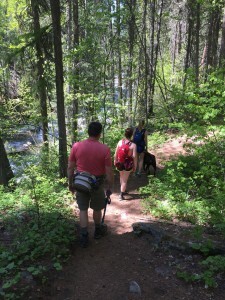 The Two Medicine Valley of Glacier National Park is just 15 minutes away and offers a wide variety of hiking trails, boat tours and picnic area. You can also book a red bus tour to take in the beauty of the Crown of the Continent from an iconic, roll-back top bus. Two Medicine in Glacier National Park. The view of Two Medicine from a red bus tour on Looking Glass Highway. 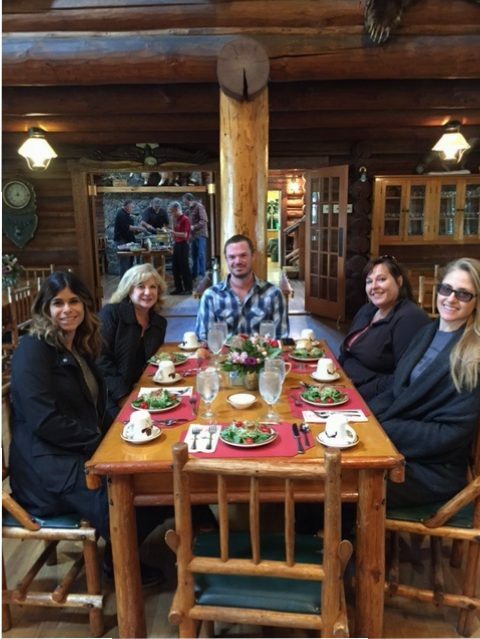 After collaborating with your team and spending time in this grand historic lodge, you’ll return from your unplugged meeting refreshed and prepared to tackle your company’s goals. For more information or to work with me on planning your meeting at Glacier Park Lodge, visit Glacier Park Inc.
About the author: As the marketing and public relations manager for Glacier Park, Inc., Rebecca oversees a comprehensive marketing and communication strategy that supports all of GPI’s lodging properties. About Glacier Park Inc.: Headquartered in Montana’s Glacier Country, Glacier Park Inc. owns and operates seven lodging properties in and around Glacier National Park, including Glacier Park Lodge, St. Mary Lodge & Resort, Grouse Mountain Lodge, Motel Lake McDonald, West Glacier Motel & Cabins, Apgar Village Lodge and The Prince of Wales Hotel in Waterton Lakes National Park. This entry was posted in Meetings & Conventions and tagged Board Meetings, Corporate retreats, Guest post, Kalispell meetings, Montana Meetings on February 4, 2016 by Tia. With Glacier National Park and Flathead Lake as its backyard, Kalispell, Montana is most well-known for easy access to vast spectacular unspoiled nature. But as the anchor of the Flathead Valley, Kalispell is more than that. Meeting and conference planners are pleasantly surprised at Kalispell’s level of services and amenities, quality of meeting facilities and welcoming community. 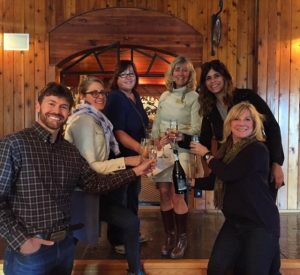 If you’re looking to plan a meeting that’s productive and offers meaningful experiences and team building in a beautiful setting, Kalispell is the perfect destination. While still a fairly unknown meetings destination, there are several reasons why Kalispell is a great city to hold your next event. 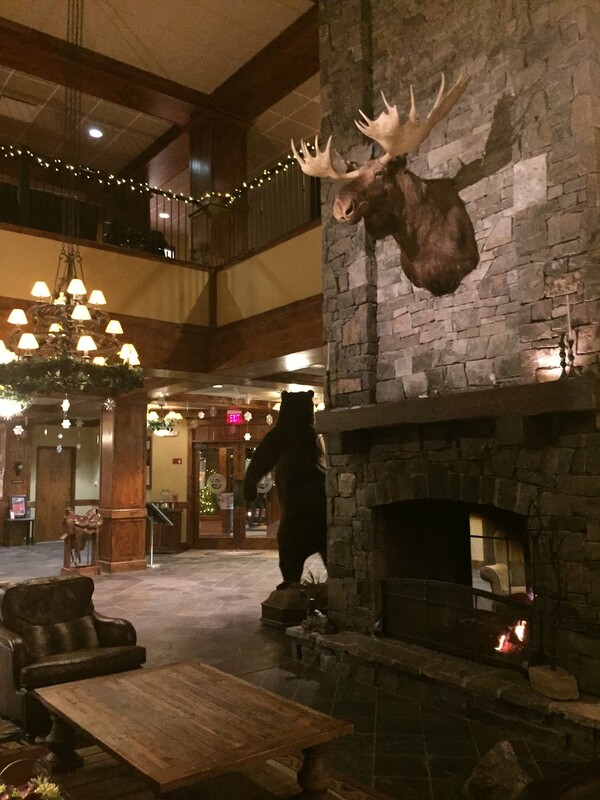 Our hotels radiate a cozy Montana-style feeling with warm hospitality that makes guests feel welcome. Plus, with inviting fireplaces, rustic wood decor and historic photos that take attendees on a stroll through Kalispell’s history, meeting attendees will experience a slice of authentic Montana. 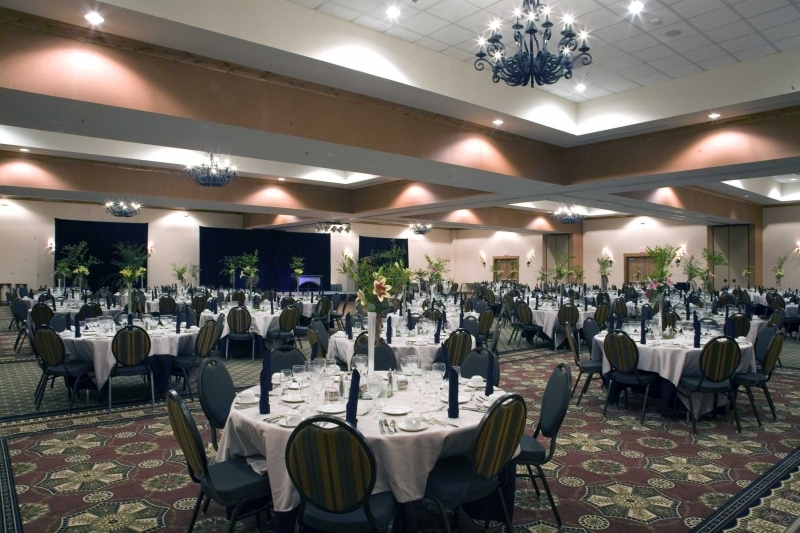 For premiere meeting properties with ample event space and a variety of breakout rooms, both Hilton Garden Inn and Red Lion Hotel Kalispell are able to host larger groups of 400+. 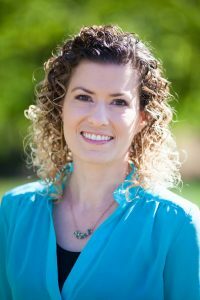 Or if you’re looking for a property to accommodate smaller groups (while still providing a high level of service and variety of catering options), Homewood Suites and Hampton Inn Kalispell are both great options. Meanwhile, located in the heart of downtown and only a block from the Red Lion, the Kalispell Grand Hotel is a great option for meeting attendees who are looking to stay in a charming, historic property. A fireplace welcome guests to Kalispell’s Hilton Garden Inn. 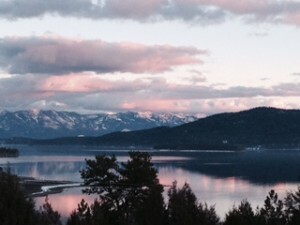 Located a few minutes from downtown Kalispell, Glacier Park International Airport is serviced by Delta, Alaska, United and Allegiant, with daily non-stop flights from Seattle, Minneapolis, Denver and Salt Lake City, as well as seasonal flights from Los Angeles, Chicago, Atlanta and San Francisco. Plus, many of the meeting properties in Kalispell offer complimentary shuttle service from the airport to their properties and there are several car rental companies that service the airport, making it for your meeting and conference attendees to rent a car and explore this corner of Montana. Another transportation option: Amtrak’s Empire Builder travels through Montana’s northern tier and makes daily stops in Whitefish (20 minutes from Kalispell) and West Glacier (45 minutes from Kalispell). 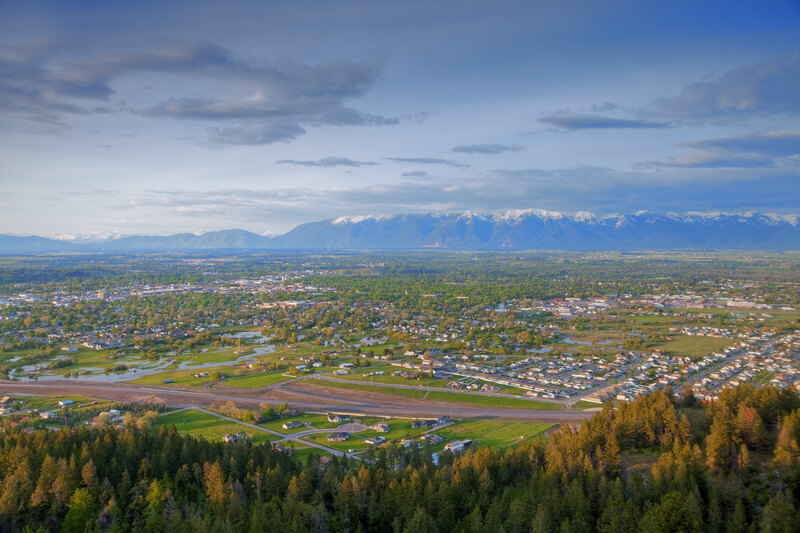 As the hub of Montana’s Flathead Valley, Kalispell is a bustling city with numerous activities and attractions in and around downtown. For meeting attendees with free time, easily accessible in-town attractions include Kalispell Brewing Company (be sure to check out their rooftop patio), Norm’s News for an old-fashioned soda or stop into Hop’s Downtown Grill for a locally raised yak or bison burger. If you plan to include some sightseeing and exploring as part of your meeting schedule, consider setting aside some time to visit Glacier National Park. 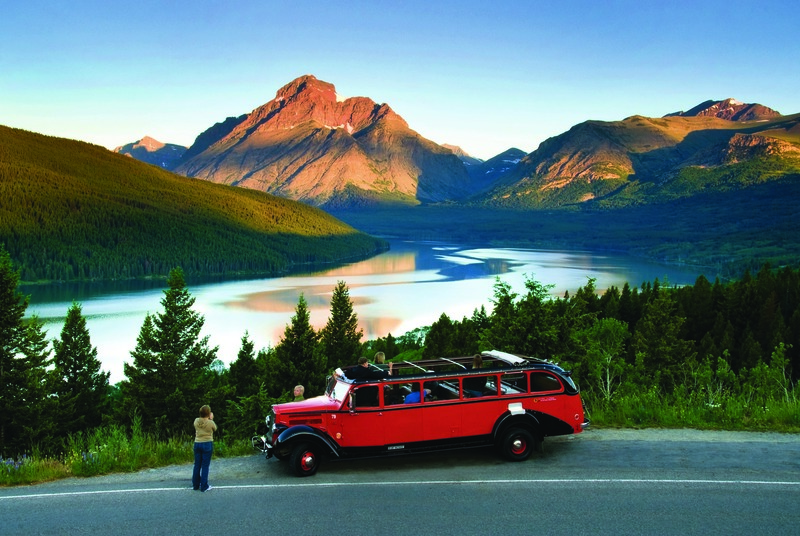 Located a 45-minute drive from Kalispell, the park is open year-round.. During late spring, summer and early fall, take your group to the Crown of the Continent for an interpretive red bus tour. 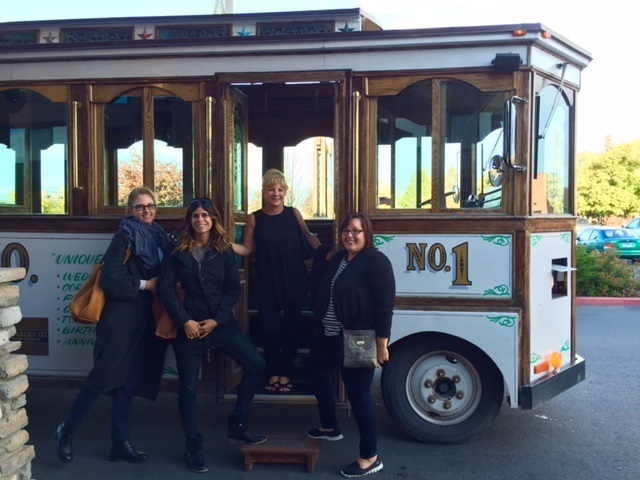 Each red bus seats up to 17 people and provides meeting attendees a true once-in-a-lifetime experience. An added bonus: buses can be chartered for your group. 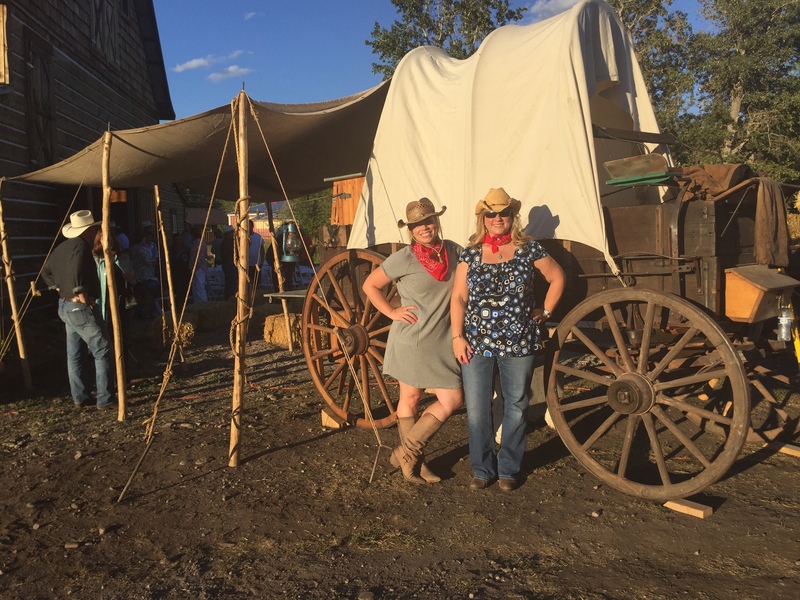 A bit closer to Kalispell, introduce meeting attendees to a taste of the west with a trip to Artemis Acres for cowboy barbecue, horseback trial rides, storytelling or a wagon ride. Or consider a group trip to Flathead Lake—the largest freshwater lake in the West—upon the Far West. 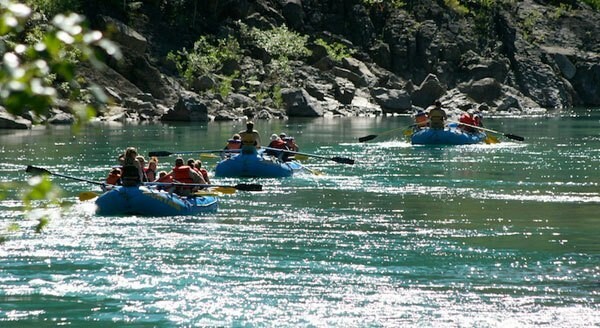 Additional area attractions include Whitefish Mountain Resort for zip lining, Walk in the Treetops or a scenic lift to the summit of Big Mountain (all of which are great team building activities), whitewater rafting on the Middle Fork of the Flathead River or, during the winter, taking a guided snowmobiling tour on nearby trails. 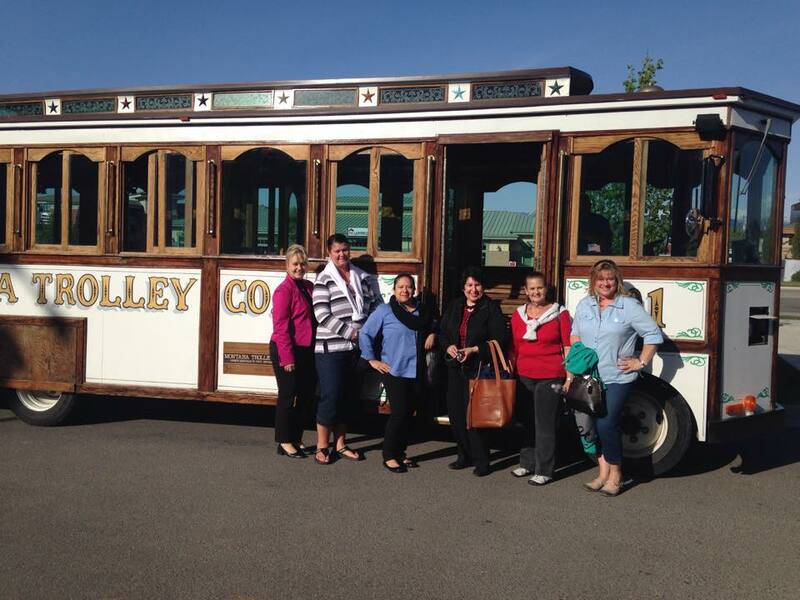 To keep the team building aspect going, consider taking a trolley to transport your group in and around Kalispell. A trolley is a great transportation option for groups in Kalispell. Take your meeting attendees off-site for a cocktail hour at one of the Kalispell area’s cool venues. 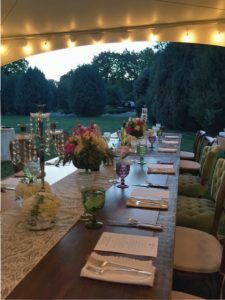 For a distinctive setting, host a reception at the Museum at Central School or on the beautifully landscaped lawn at Conrad Mansion Museum, home of the Kalispell’s founder William Conrad. For a behind-the-scenes glimpse into a Montana brewery, take a tour at Kalispell Brewing Company. 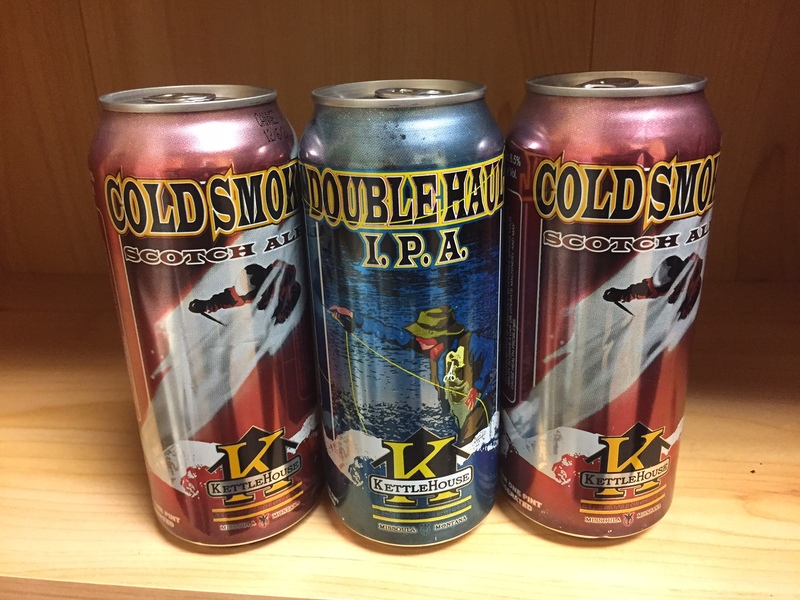 Located in the heart of downtown in historic building, today the brewmaster brews beer like Two Ski Brewski Pils, Snowslip Stout or Rope Tow Pale Ale. 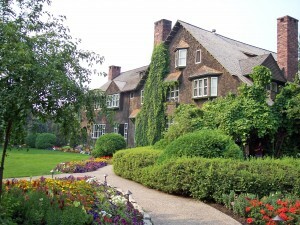 The lush grounds at the Conrad Mansion Museum. A perfect complement to an off-site cocktail reception: mouth-watering and distinctly Montana food, libations and desserts. Enjoy a farm-to-table dinner between the hops and under the canopy at Purple Frog Gardens or try one of our most notable indulgences at Sweet Peaks Ice Cream. Montana flavors include huckleberry, Flathead honey and lavender ice cream. 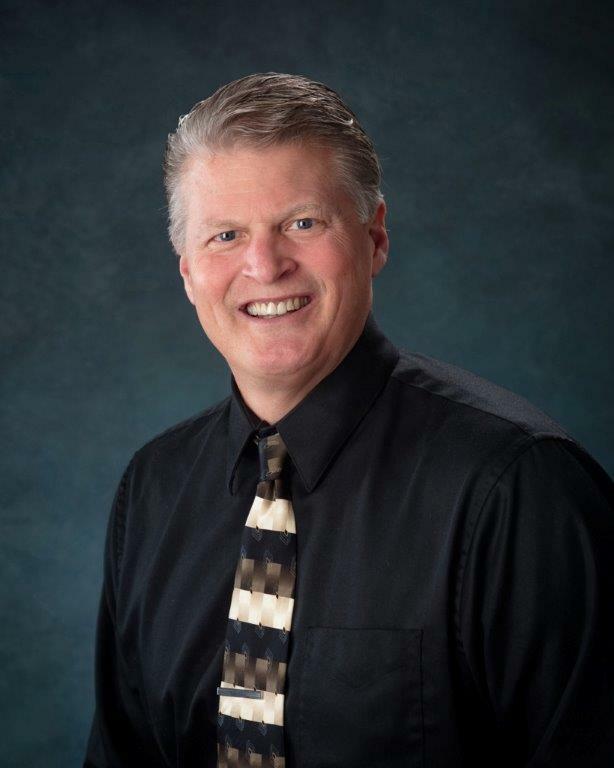 In Kalispell, one of the elements of meeting planning we provide is giving you local, hands-on support for assisting with site selection, site tours and activity suggestions. We’re happy to work with you and provide support during the entire planning process. 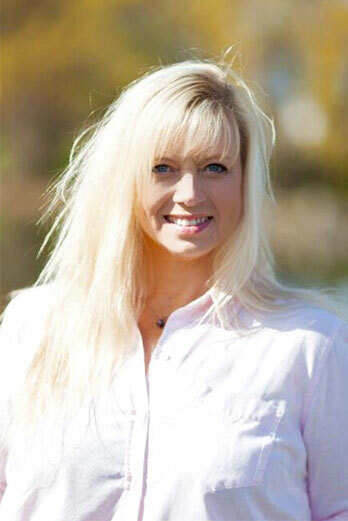 Plus, we have an arsenal of professionals who we partner with and trust to ensure your Montana meeting goes smooth. If you’re considering a meeting in Kalispell, let me know and I’d be happy to personally set up a customized “FAM” trip just for you. 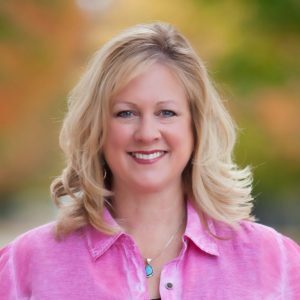 About the author: Dawn is the Group Sales Manager for the Kalispell Convention & Visitors Bureau, where she works with meetings, conventions and group business. 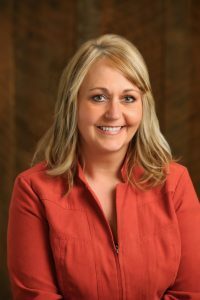 This entry was posted in Meetings & Conventions and tagged Board Meetings, Kalispell meetings, Montana Meetings on January 19, 2016 by Tia. 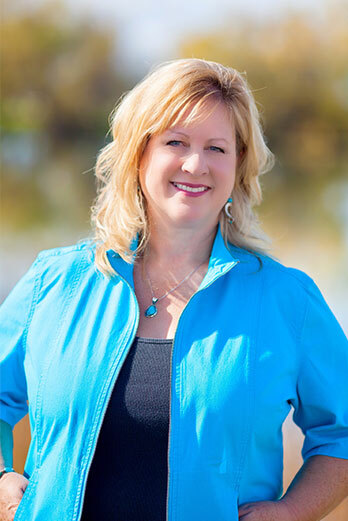 We all know that conferences and meetings are attended for many reasons: continuing education, training, sales and networking. And for most meetings, great convention centers or hotel meeting rooms are the right environment for hosting a well-organized meeting. 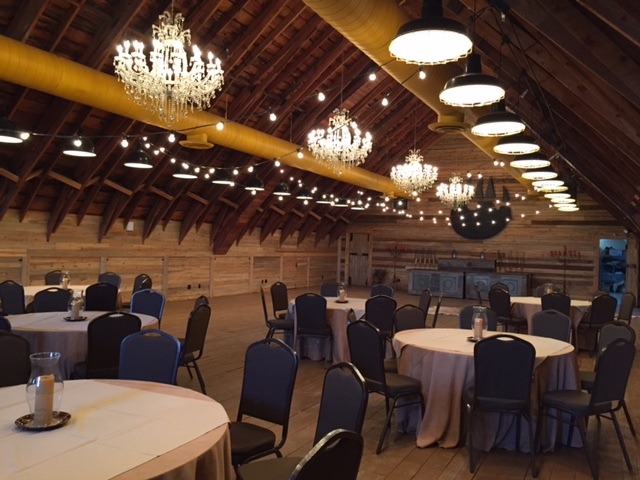 However, a great off-site venue can shake things up a bit, add excitement to a meeting and inspire and engage attendees, all while providing an added value to the event. 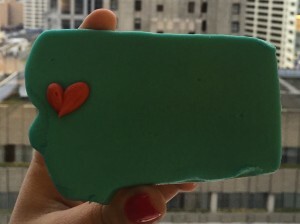 Plus, let’s face it: they can be a lot of FUN. 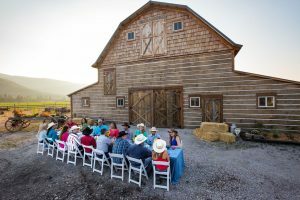 Western Montana’s Glacier Country has plenty of great venues away from the hotel that are ideal for an interactive lunch, a signature cocktail reception, unique dinner setting or a place to dance the night away. 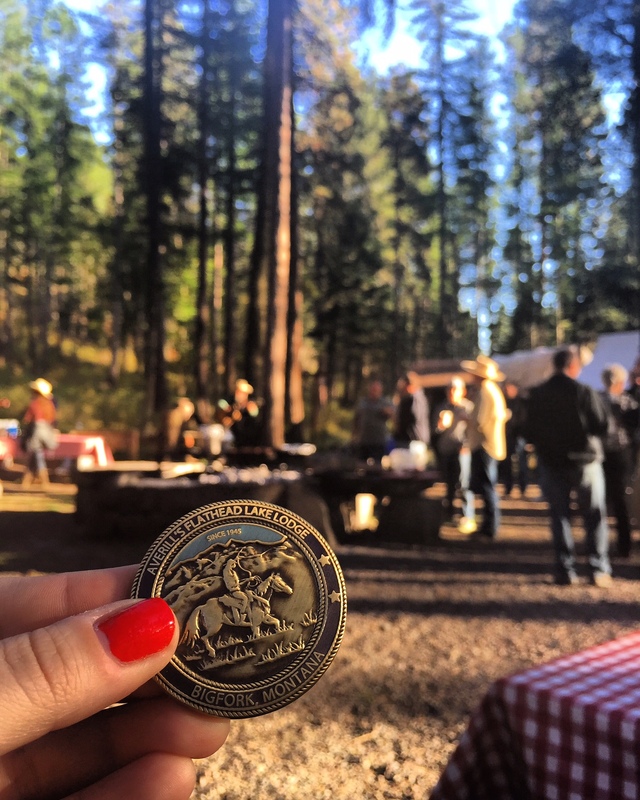 Z5 Ranch, located just 25 minutes north of Missoula in Arlee, offers an authentic Montana experience at a chuckwagon dinner set in the stunning Jocko Valley. 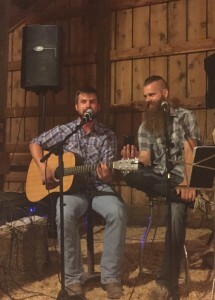 Customize your after dinner entertainment with cowboy poetry, American Indian dancers and drummers, historic storytelling or music from local musicians. 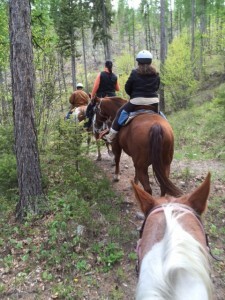 Z5 Ranch offers an authentic Montana experience. 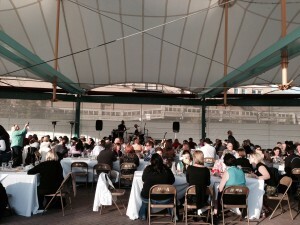 In the heart of downtown Missoula and located on the shore of the Clark Fork River is a wonderful outdoor venue, Caras Park Pavilion. A year-round option, the permanent white canopy provides shelter or shade and canvas walls can be added in the colder months. The pavilion can accommodate groups from 100 to 3,000 for dinner events or outdoor music and festivities. There is ample room for attendees to mingle or walk to the river overlook and watch surfers and kayakers on Brennan’s Wave. Caras Park Pavilion in downtown Missoula. Honorable mentions: choose one of Missoula’s many craft breweries, distilleries or wineries as a fun venue for receptions and dinners. 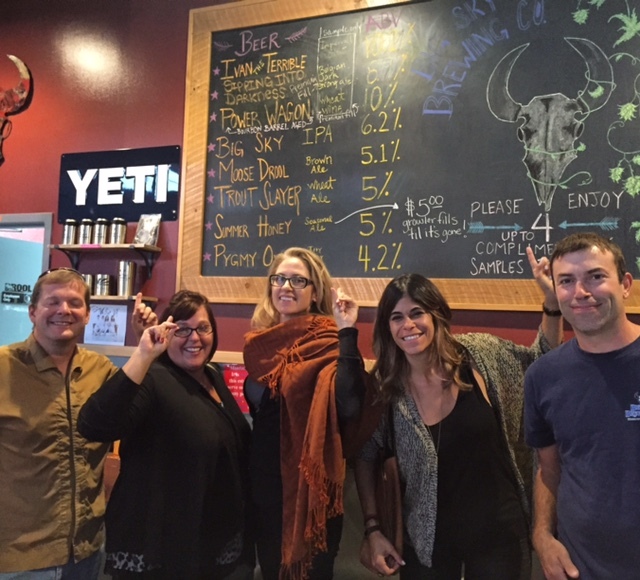 As an added bonus, many of the breweries can provide informational tours about their products and processes. 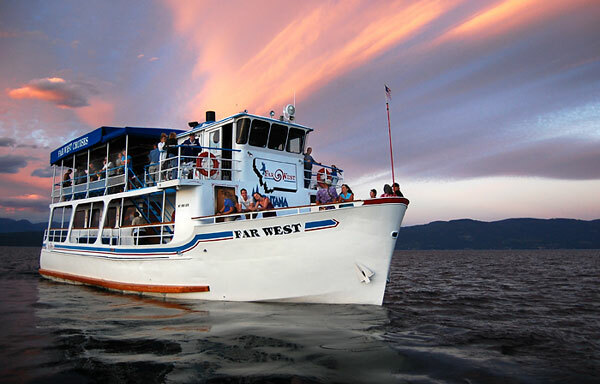 Plan a cruise on the largest freshwater lake in the West on Far West Boat Tours. Take an excursion around Wild Horse Island State Park and look for bighorn sheep, wild mustangs and other native animals. 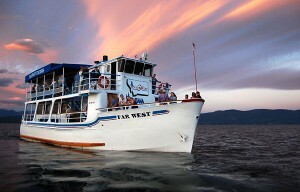 Or after a long day of meetings hop on board for a dinner or sunset cruise to relax and mingle with colleagues. The ship has a fully licensed bar and multiple catering options are available for up to 150 passengers. The Conrad Mansion Museum is a historic turn of the century property with beautiful gardens surrounding the one time home of the founder of Kalispell, Robert Conrad. The native stone fireplace and golden oak staircase is a wonderful backdrop for receptions or catered dinners for groups of 75. Consider utilizing the manicured lawn and grounds—including a beautiful gazebo—for a musical addition for a larger event. 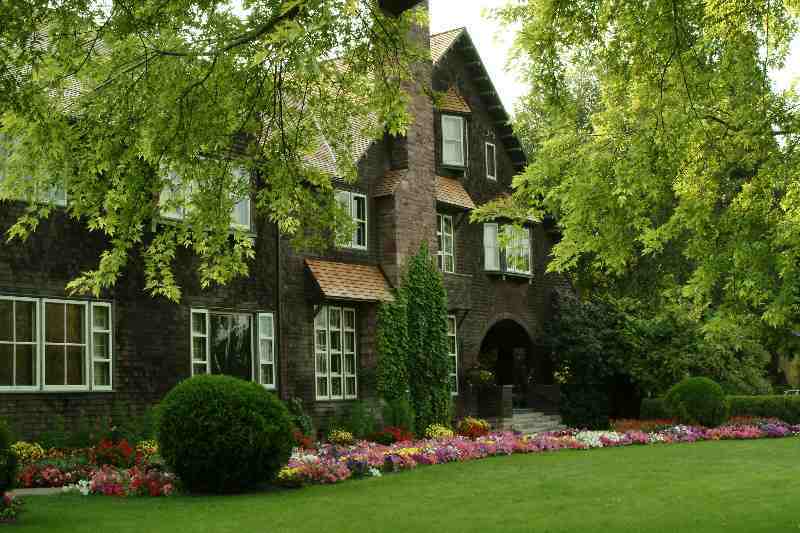 Springtime at Conrad Mansion Museum. Honorable mentions: Artemis Acres Paint Horse Ranch and Lonesome Dove Guest Ranch are both available for fun afternoon horseback rides and BBQ lunches or dinners. 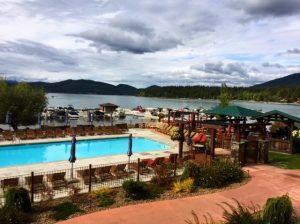 Centered in the heart of downtown Whitefish, Casey’s Pub and Grill offers a great sophisticated venue for an evening reception or dinner event that lets attendees unwind after meetings. Casey’s blends beautiful architecture with its multi-level bar atmosphere. The second level lounge provides ample room for a band to play along with a dance floor, surrounded by sectional furniture for relaxing with friends and colleagues. 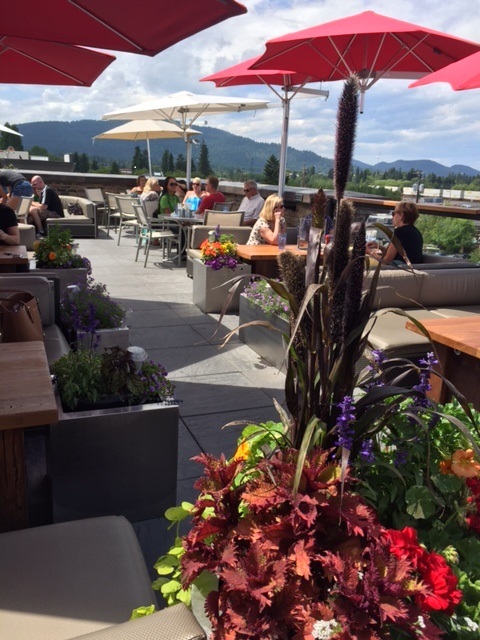 Head upstairs to the rooftop skybar for breathtaking sunsets and spectacular views of Big Mountain and the surrounding area while sipping a signature cocktail. Casey’s Skybar, with views of Whitefish. 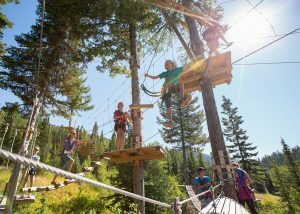 Located just 15 minutes from downtown Whitefish, activities abound during the summer months at Whitefish Mountain Resort. Choose from 5 or 7 course zip lines, an aerial adventure park or a walk in the treetops. 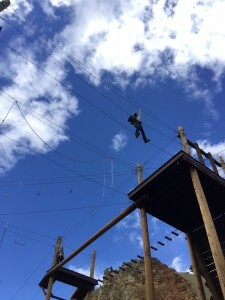 Groups can choose to participate in one activity or divide and conquer all aspects of the mountain. The base lodge is also available for meeting needs before setting out for an unbelievable experience on the mountain. 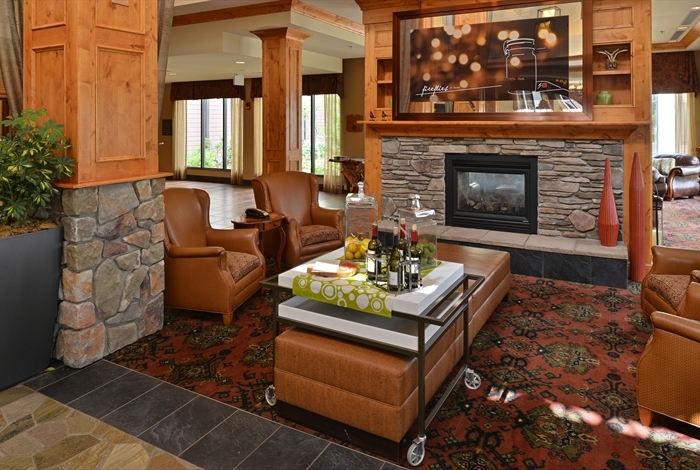 If it’s stunning views with dinner or a reception you are after, then the newly renovated Summit House at the top of Whitefish Mountain Resort is calling. 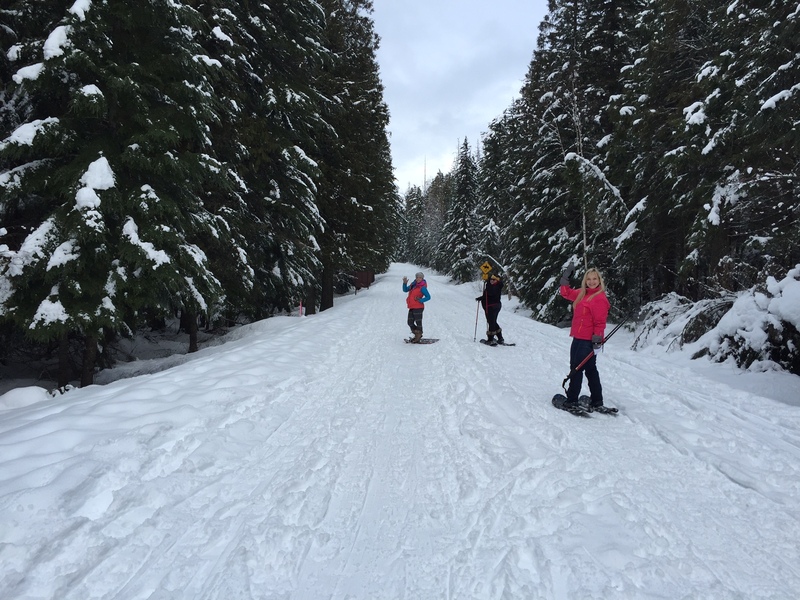 In the warmer months, take an open air chairlift or a gondola ride to the top of Big Mountain and experience 360 degree views of Glacier National Park and the Flathead Valley below. It is sure to be an unforgettable event and experience for groups of up to 125 people. 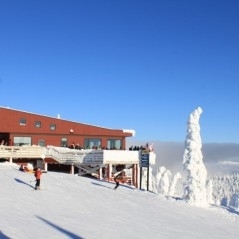 If your meeting schedule falls in the winter, take advantage of the group deals and discounts offered by Whitefish Mountain Resort for lift tickets, lessons, rentals and dining. Stunning views from the Summit House. To find the perfect fit for your meeting, we recommend reaching out to Montana’s local convention and visitor bureaus. Destination Missoula, Discover Kalispell and Explore Whitefish would love to help find just the right off-site venue for your next meeting. Or drop me a line; I’m always here to help. This entry was posted in Meetings & Conventions, Unique Venues and tagged Corporate retreats, Kalispell meetings, Missoula meetings, Montana Meetings, Unique Venues, Whitefish meetings on October 20, 2015 by Debbie. We all know that the best—and quite frankly the only way—to really know if a destination is right for your next meeting, conference or corporate retreat is to experience it firsthand. Last May, Western Montana’s Glacier Country invited a select group of meeting planners from around the U.S. to come to Montana and see for themselves what our destination has to offer for meetings. One of those planners was the CEO of Mampre Media International, L.L.C., Meetings and Incentive Travel, Virginia Mampre. With 40 years of experience in the meeting and incentive travel industry, Virginia has traveled the world as she has matched destinations with her clients and their programs, which range from 6 to 25,000 attendees. Q. Having never been to Montana before, what were your initial thoughts? A. I was captivated by the natural beauty of the area. 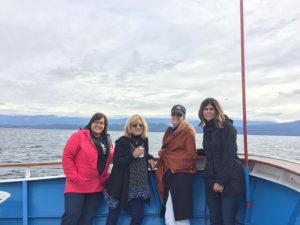 We were able to see so much of it by traveling through many valleys and along lakes and waterways, which are truly spectacular in any season. However, seeing it framed by spring flowers was wonderful. Q. 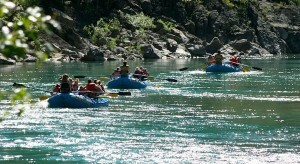 What does Western Montana’s Glacier Country have to offer meetings and conventions? A. 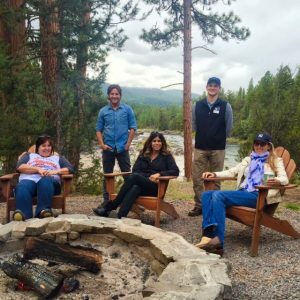 There are quality hotel properties like The Lodge at Whitefish Lake, Kandahar Lodge and The Resort at Paws Up—to mention just a few—that are located in unique and beautiful settings. 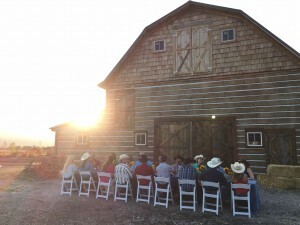 Many of them offer outdoor options to add to the meeting space. 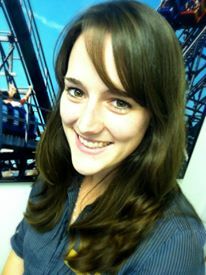 There are not only luxury lodging options, but quality lodging for various price points as well. There is an abundance of indoor activities for groups, spousal programs, team building and individual challenges. 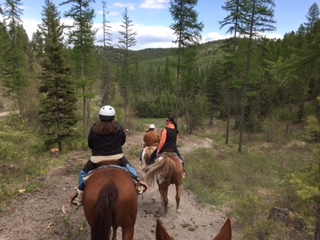 I appreciated the fact that there are guides and outfitters for every imaginable sport or activity, including fly- fishing, horseback riding, skiing, hiking, dog sledding, bird watching and snowshoeing. A horseback trail ride is one of many activity options in Western Montana. Q. What did you think of the culinary scene in Montana? A. 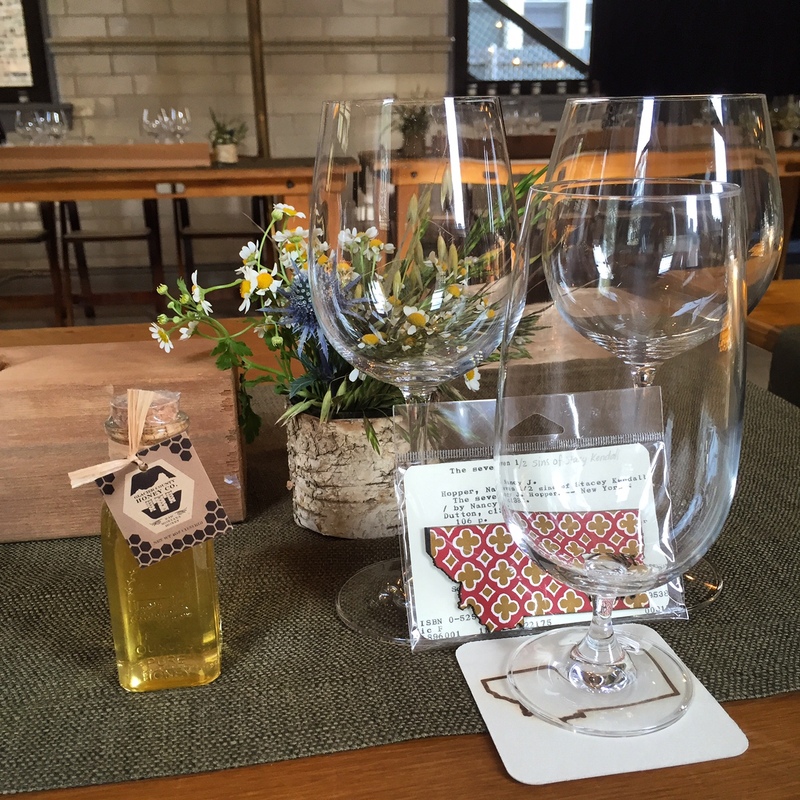 There are great culinary and spirit offerings that are locally made, regionally grown and presented in distinct environments throughout the region. 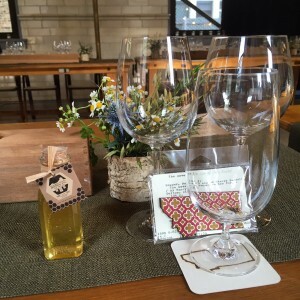 I thoroughly enjoyed the delicious chef’s table experience at Blue Canyon Kitchen & Tavern. I couldn’t believe the amount of local breweries, fresh produce and huckleberries galore! (Now I know why the bears like them). 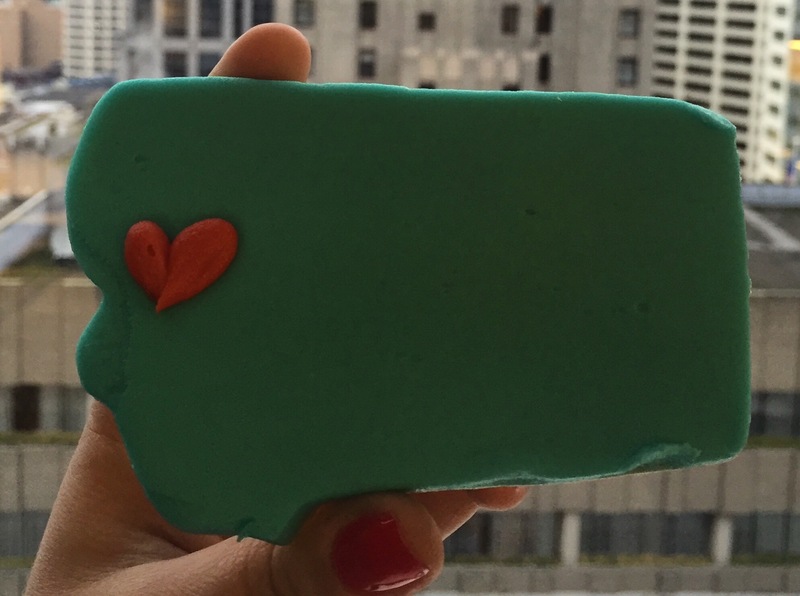 The area is also known for its ice cream—like Big Dipper and Sweet Peaks—with such delicious and inimitable flavors. 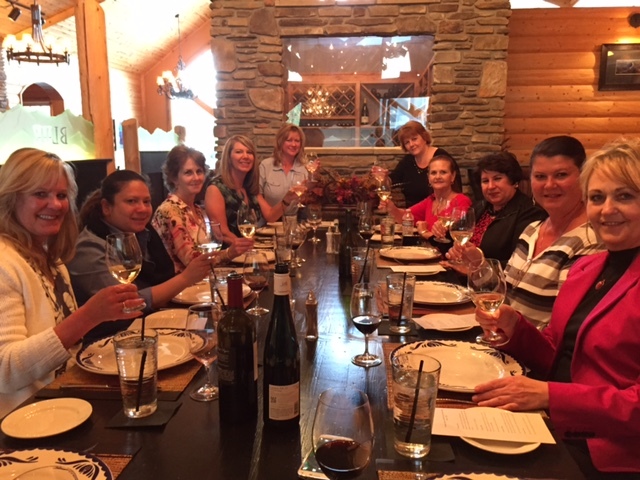 Blue Canyon Kitchen & Tavern in Kalispell. Q. 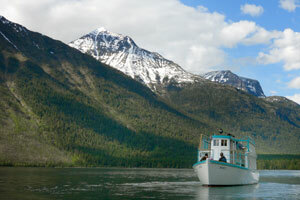 What was distinct about Montana’s Glacier Country that you appreciated? A. For groups that like to get out and have one-of-a-kind experiences, a visit to see the glaciers in Glacier National Park is a must. 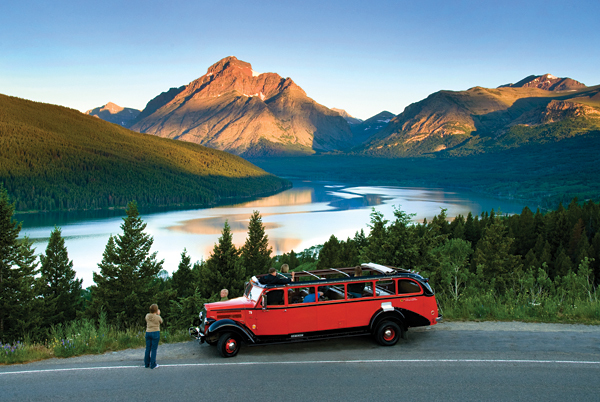 While in-season, it would be fun to take the red bus tours on the Going-to-the Sun Road (the red buses date back to the 1920s.) 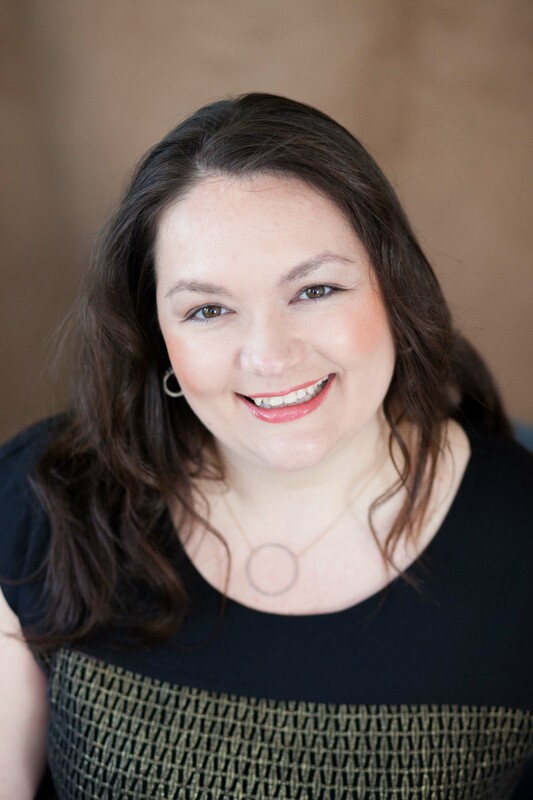 I adored the Ninepipes Lodge and Allentown Restaurant in Charlo. 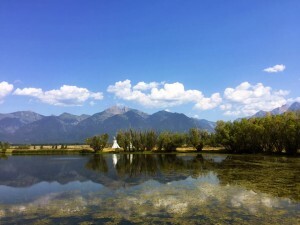 It had incredible views of the Mission Mountain Range and the pond behind the lodge mirrored the stunning mountains outside the restaurant. The whole area has such special qualities; it’s hard to pick just one or two things. Views of the Mission Mountains from Ninepipes Lodge and Allentown Restaurant. Q. 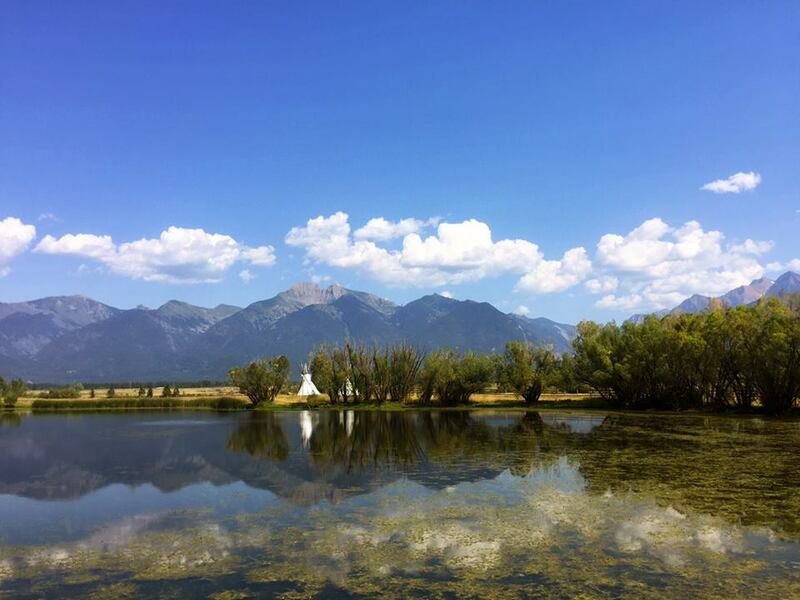 What was your impression of the arts and culture scene in Montana’s Glacier Country region? A. 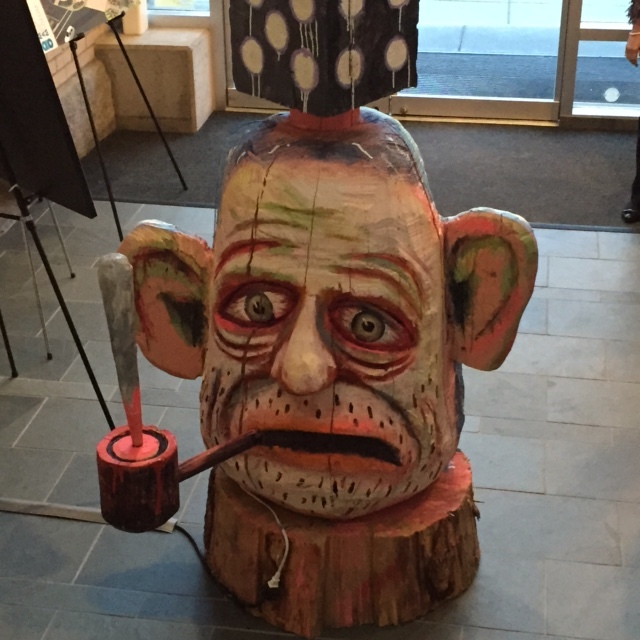 The arts and culture that we were shown was surprising to me and made such an impact. I was very impressed with the theater scene that is internationally noted due to the incredible work of the Missoula Children’s Theater. I enjoyed the re-furbished buildings, such as the old Carnegie Library that was converted into the Hockaday Museum of Art in Kalispell that housed unique collections of regional and international quality art. Another attraction that stood out to me was the noble old home of Charles Conrad, now the Conrad Mansion, that can be used for private functions in the grand style of the innovative and genteel class of the turn of the century. Q. 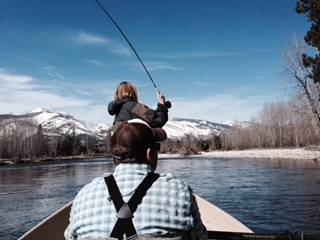 During your time in Montana, did you visit any special venues that piqued your interest? A. As someone who has been planning MICE functions for many years, it’s always a delight to find distinct venues in regions like Montana’s Glacier Country. 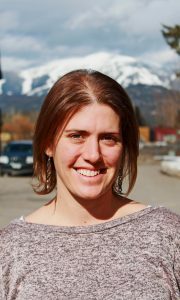 Events can be held in the beautiful Caras Park along the waterfront in Missoula, where attendees can watch kayakers and river surfers (or even surf themselves) in downtown. Some of the refurbished barns with cowboy and native touches were impressive. We enjoyed a lavish chuckwagon BBQ complete with incredible singing cowboys and cowgirls, and the horseback ride that followed in Kalispell was fun. And stargazing in the evenings from every vantage point was incredible. Great Angus Hall (a refurbished barn) at The Resort at Paws Up. Q. 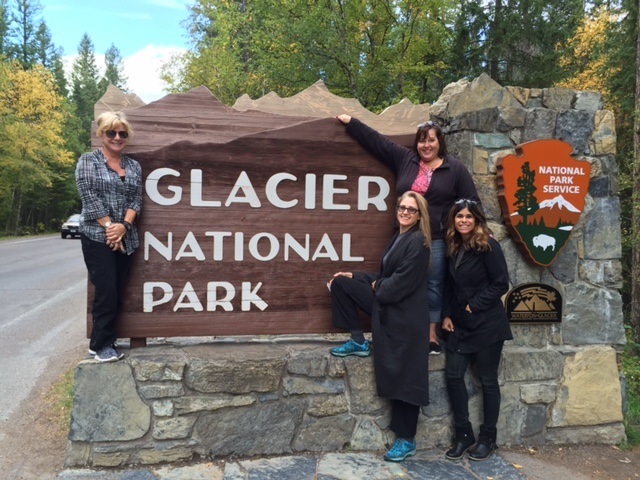 Where you surprised by the size of groups that can be accommodated in Glacier Country? A. 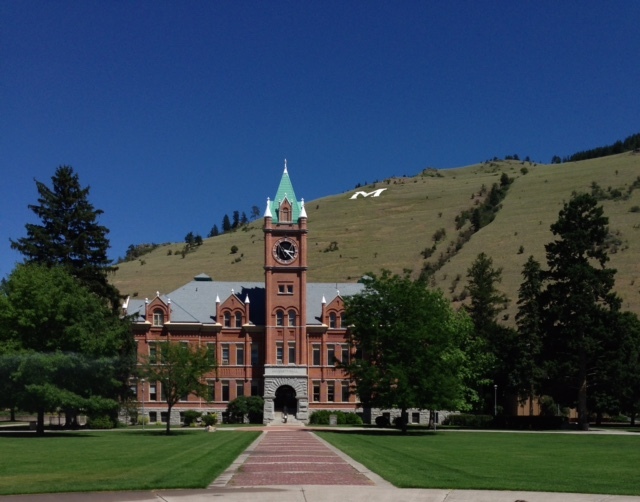 For educationally minded or very large groups, Missoula’s university and area colleges offer great venues. 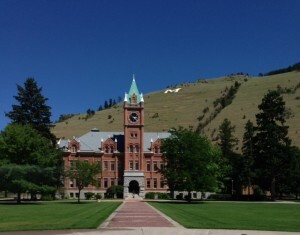 The University of Montana (located in Missoula) has a native inspired building that was top-of-the-line. 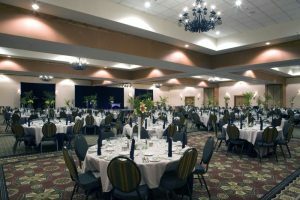 The expansive ballroom space in Missoula was very well done and could accommodate citywide meetings, especially with the close proximity to nearby hotels for overflow needs. 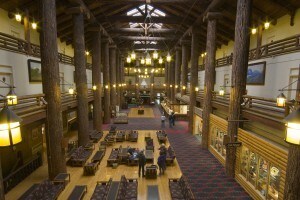 Main Hall at the University of Montana. Q. 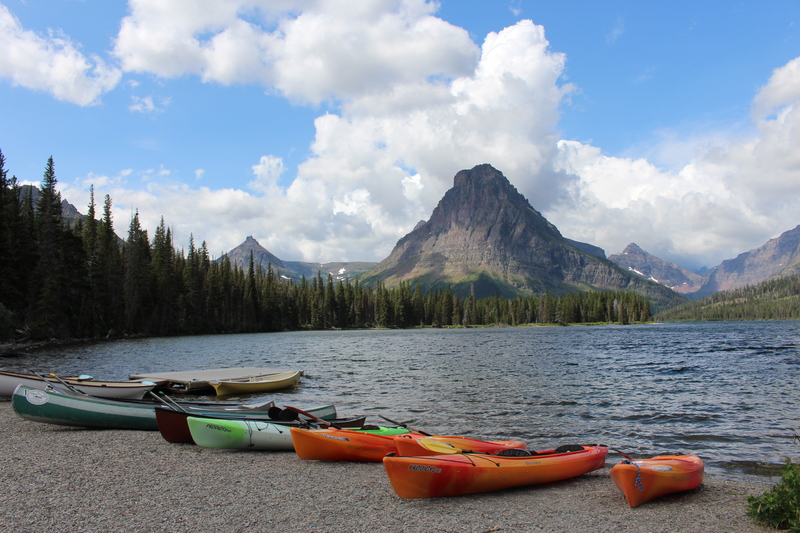 Did you experience anything in Montana’s Glacier Country that you haven’t seen anywhere else? A. I was very impressed with the people in Western Montana. 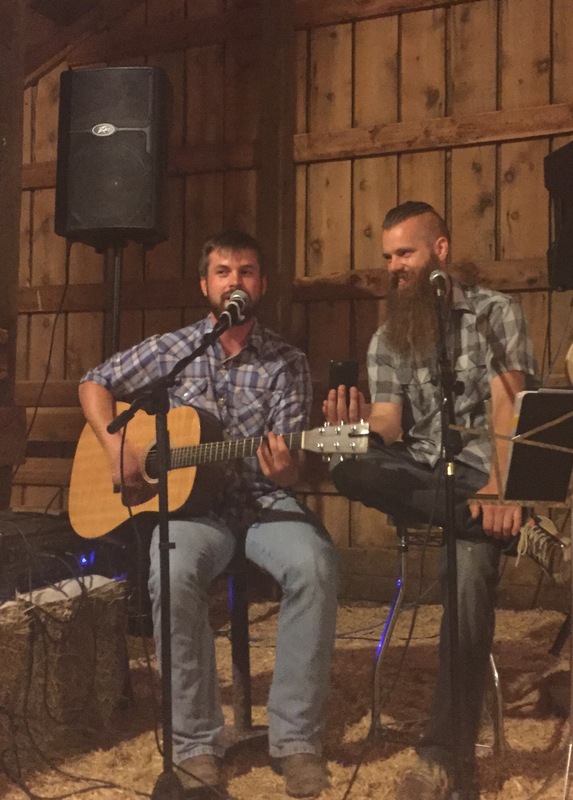 There is such a thing as western hospitality and it resides in Montana. I can’t say enough about how wonderful the people were everywhere we went. Even the (stuffed) grizzly bears are friendly in Montana. 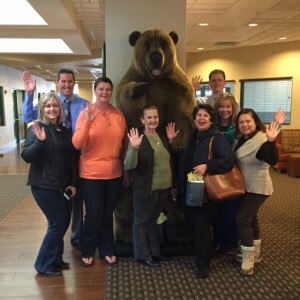 If you are interested in reading a recap of the meeting planner FAM, click here. For a visual recap, watch our Meet in Montana video. 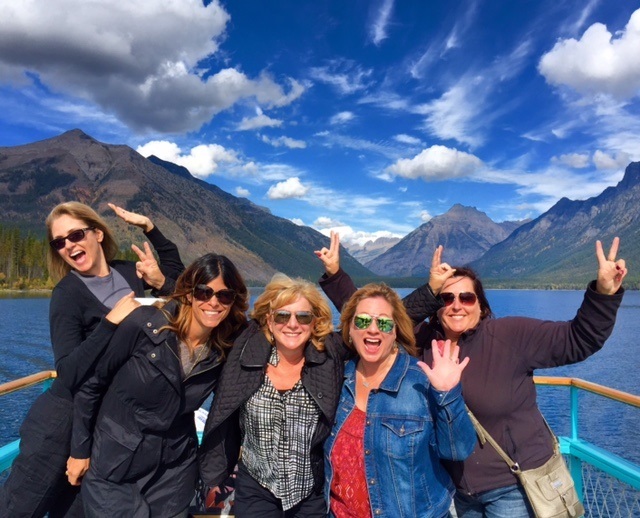 If you would like more information about Western Montana’s Glacier Country as a meetings destination or are interested in participating in the next meeting planner FAM highlighting our three anchor cities of Missoula, Kalispell and Whitefish, shoot me an email. 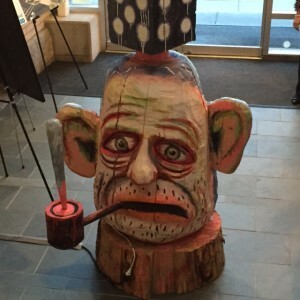 This entry was posted in Meetings & Conventions and tagged Corporate retreats, Kalispell meetings, Missoula meetings, Montana Meetings, Whitefish meetings on September 3, 2015 by Debbie.